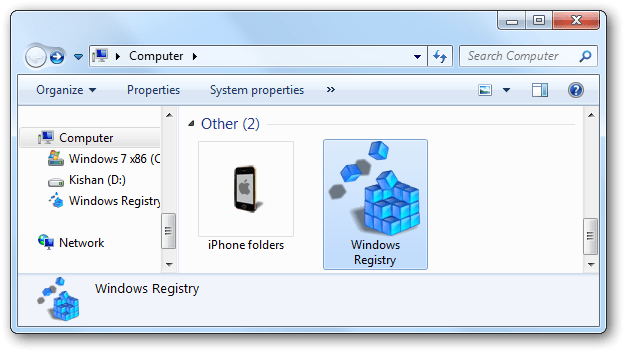 RegFolder is a free tool for Windows 7 & Vista that allows you to add a Windows Registry folder on My Computer. Install it and it will add a folder called Windows Registry in My Computer. You will be able to browse the registry as you browse other files and folders. You can change the values from the Details pane.